Testing for Alzheimer’s disease can be a long, costly, and tiresome process for patients, but researchers from Brigham and Women’s Hospital have been working to make the testing process easier on patients. The group has developed a blood test that would evaluate the level of tau -- the leading protein in the brain associated with Alzheimer’s -- before a patient is even showing signs or symptoms of the disease. Though the test is currently in the testing stages, Dr. Walsh is calling it a “transformative breakthrough” based on the early results. Tau is a protein in the brain that is most typically associated with Alzheimer’s. Though tau can develop through a number of different related molecules, the researchers were able to create a model that differentiates between the individual types of tau to ensure that the blood test comes up with the most accurate result. The researchers have conducted two trials so far with participants from Harvard’s Aging Brain Study and the Institute of Neurology in London. The first group consisted of 65 participants and the second group had 86. Everyone involved in the study donated samples of plasma and cerebrospinal fluid, which helped the researchers look at the breakdown of the tau protein and see exactly what was linked to Alzheimer’s. In both tests, the researchers found one strand of tau -- NT1 -- that was effective in predicting and identifying cases of Alzheimer’s. The next step for the researchers is to open the test up to larger groups of participants to further test its effectiveness on a wider sample. However, these early results proved to Dr. Walsh and his team that they could be on the right track. While this blood test could potentially change the way doctors go about diagnosing Alzheimer’s, fellow researchers have made strides this year in an effort to better diagnose and treat the disease. In late September, researchers from the Clinical Memory Research Unit at Lund University in Sweden developed a new brain imaging technique that would help doctors make the most accurate Alzheimer’s diagnoses. The researchers used a PET scan to evaluate the level of tau in the brain by administering a marker for the protein before the test. 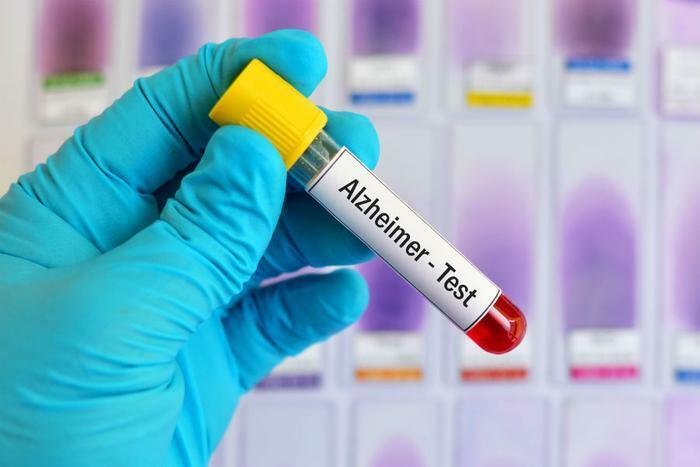 The researchers found this new test to be more successful than traditional Alzheimer’s screening methods. On the treatment front, researchers found success with a clinical trial for a drug being developed to treat Alzheimer’s. Amyloid is another protein often found in the brain with Alzheimer’s, and researchers from Biogen and Eisai worked to develop BAN2401 -- an anti-amyloid drug. Though unsuccessful in initial tests, this new and improved version of the drug was found to slow the progression of Alzheimer’s in the study’s clinical trial.